The company behind Lineage II and City of Heroes just made a donation for Japan's relief that was bigger than both Nintendo's and Sony's. In the wake of the Tsunami that hit Japan, there've been a lot of heartwarming stories about people helping those in need, like the actors who're writing in-character messages to kids as their superhero counterparts, and now South Korean MMO publisher NCsoft has made a truly colossal financial contribution to help with relief efforts. The company has reportedly made a 500 million yen ($6.3 million) donation. While NCsoft's games aren't nearly as popular in the States as, say, World of Warcraft or DC Universe Online, it's still a pretty massive company. Its Lineage series is is especially popular in Asian markets. As other newsgroups have pointed out, this donation is bigger than those made by both Nintendo and Sony. 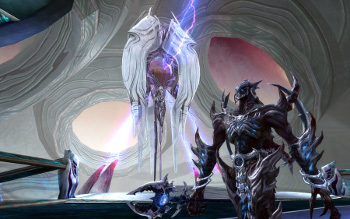 NCsoft's also revealed that it's going to be continuing to offer gaming service in the country while it recovers.